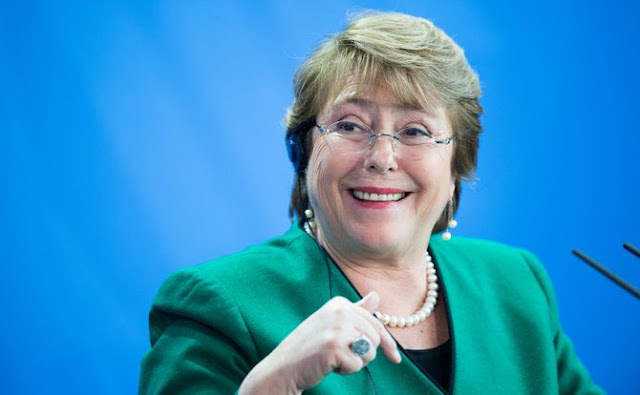 UN High Commissioner for Human Rights Michelle Bachelet on Wednesday presented reports on the situation in nine countries, as mandated by the UN Human Rights Council. Brief summaries follow, with links to the full statements and reports on which they are based. On Sri Lanka: Despite progress on some issues, “there has been minimal progress on accountability” including on setting up a special judicial mechanism to deal with the worst crimes committed during the 2009 conflict, Bachelet said, noting that continuing impunity risks fuelling communal or interethnic violence, and instability. She called for establishment of an independent Truth and Reconciliation Commission and a vetting process to remove officers with questionable human rights records, and noted slow progress in replacing the problematic Prevention of Terrorism Act. She highlighted “continuing allegations of torture and other human rights violations by security forces, including sexual violence,” and called for an end to surveillance and reprisals targeting human rights defenders, and victims. She encouraged the Government to implement a detailed and comprehensive plan for the transitional process with a fixed timeline.